Happy Valentine's Day, you guys! Are you doing anything special tonight to celebrate? 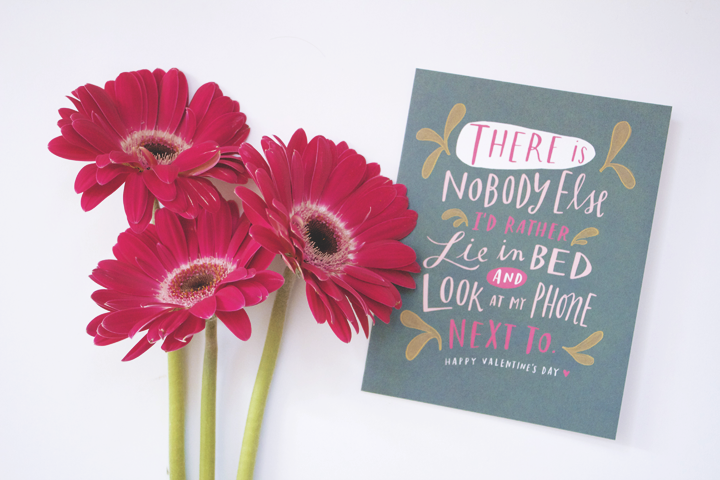 Whether you're in for a romantic dinner with your honey or a good old fashioned girls' night out, here's hoping your day is full of love!I picked up this card by Emily McDowell for my boo. It pretty much sums it all up, right? If you haven't already, definitely check out Emily's work. Its just lovely. Someone at work just gave me an Emily McDowell card yesterday! So awesome to make a living hand-scripting and drawing these little cards! !